Ahoy, landlubber! Ready to set sail with the bravest pirate on the high seas in Pirates & Pearls®? It’s time to plunder yer way through hundreds of puzzle matching levels filled with precious loot. Build mighty ships, pillage wealthy ports and construct gold mines while perfecting yer puzzle-solving and buccaneering skills. 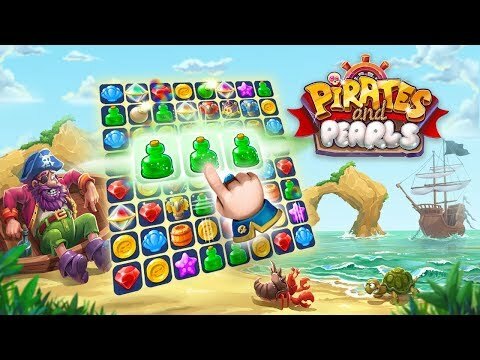 Pirates & Pearls®: A Treasure Matching Puzzle © 2017 - 2019 G5 Holdings Limited. Published by G5 Entertainment AB.